This large 40 panel system produces 10,400 Watts of DC power and utilizes a SolarEdge SE-10000 Inerter with panel level optimizers at each panel. The optimizers give the system the same operating advantage as micro inverters while cost is reduced as there is only one large inverter. 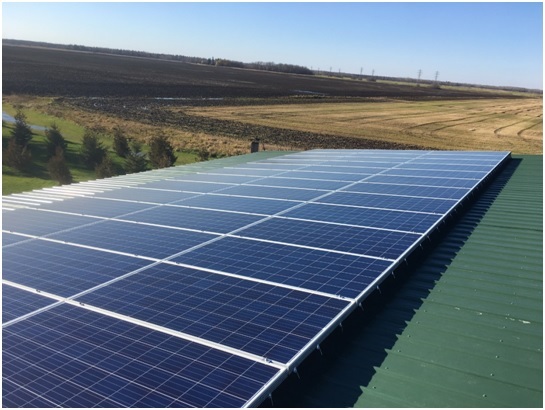 This solar PV project was completed in Gimli, MB and is one part of a Complete Zero Energy Home Project. 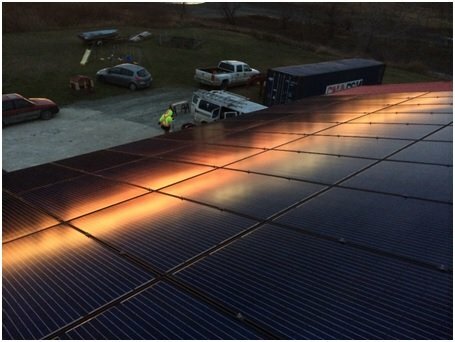 The 22 panels were 310 Watt 72 cells. The shop had a 4/12 roof pitch and was 900 square feet. The customer already has low cost geothermal heat pump for the main house heating. 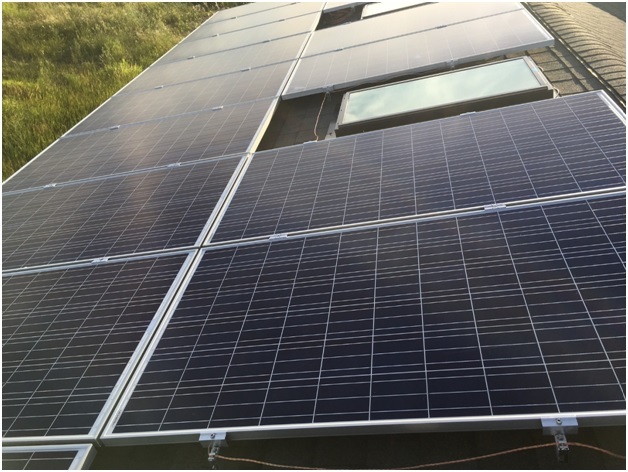 The project uses a Solar Edge SE5000 inverter with Power Optimizers on each panel to deliver the maximum returns.